In my project, i use the MVisitor to explore my elements, but i also need to get the class operations provided by the libraries. I don't know how to get this ? Could you help me, or explain me how to use API services to do this ? 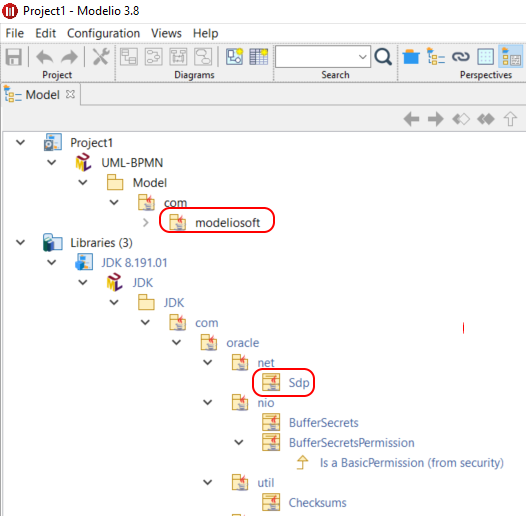 So if i well i=understood your issue your are now able to explore the 'modeliosoft' Package and you want to be able to explore the 'Sdp' Class for example, am I right? Not exactly, in fact i need to get all operations, as well in my project as in all libraries defined in my project.